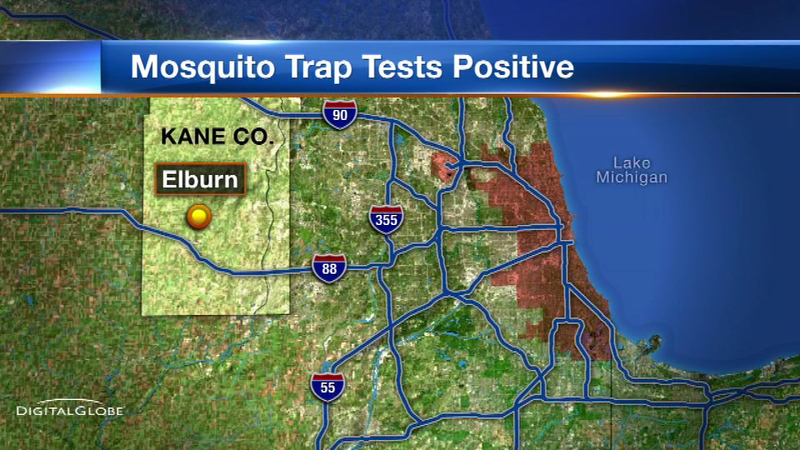 ELBURN, Ill. (WLS) -- A mosquito trap tested positive for the West Nile virus near Elburn in the western suburbs. It is the first sign of the dangerous virus in Kane County this year. West Nile virus is transmitted through mosquito bites. Most people who get the virus never show symptoms, but some people do suffer from headaches, fever and body aches. The best way to keep from getting bit is wearing long sleeves and insect repellent that includes DEET.